Seriously, How Fab Is This? When using typography on your images, it is very important to mix it up a little. Avoid anything similar to each other. Therefore, use two or three different styles of fonts to add dimension. Unify the fonts, with color and or style. Pay attention to where YOU want to draw attention. Did you notice, I emphasized YES more than the word please? When typing an entire document, stay neutral in the body. Last, but not least…there really are not any rules but the one that pleases YOU. Try, and try a lot of different fonts till the recipe makes you smile. One of the most generous font builders…Kevin and Amanda! They have built their font collection to download for FREE, most of them anyway in most cases. I am directing you to one of my favorite doodles from this beautiful couple. It is called…Pea Dawn’s Doodles Too. Wait till you see this grouping of words to use on your photos…examples: Be Still My Heart, Save the Date, Thinking of You and so many more. I hope you find a little sweetness today! Leave some love…It’s Valentines Weekend! If you are visiting for the first or second time, please join our Pride in Photos family. We try to instill inspiration, tips and even a smile or too. Fill in your email, so you don’t miss any of the tips we post. I bet they tasted even better! Gorgeous shot. Love all the red. And the two fonts work well. Wonderful photo for this challenge!! A perfect photo, and it’s something I love too — fruit-filled cookies. And to make it even better, they’re hearts. You do these kinds of photos so well Laurie. And thanks for the tips! Those look yummy… I do hope you had a Happy Valentines Day..
Hey, thanks so much for stoppin’ by my blog! I know it’s been a long time! It’s been crazy over here. I hope to be blogging at least a couple times a week assuming I have pictures to post :o) Thanks for this post! Great tips and I stopped on over at both sites. Love those fonts; I just had to download them! Loving the photo and the tips!! Thanks so much. And also, thank you for sharing with Cool Clicks, I deeply appreciate you stopping by and saying hello. Sweet image and tips. Happy Valentine’s Day (belated). So pretty, What a beautiful treat. yum. Happy Valentines Laurie! Happy VDay! I love your tips and I am huge fan of the fonts from Kevin and Amanda, but I am not familiar with the one you linked to so now I’m off to get it! Lovely! Happy Valentine’s Day:) Thanks for the tip. Thanks for joining the Imperfect Prose link up! Cannot tell you how wonderful those cookies look!!! Wishing you a wonderful day! Looks like you switched themes to Nishita. It is one of my favorites, but I am using Modularity Lite now because it allows post formats. Happy Valentine’s Day sweetie…thanks for all ther great info you are sharing with us…!! You might have to make a tutorial on how to download/access the fonts 🙂 I’ve tried it before and can’t ever figure out how to do it. Loving your tips! They look super yummy! Wow! Laurie! This is such a very good and helpful post. Thank you for sharing. And thanks for these wonderful tips. 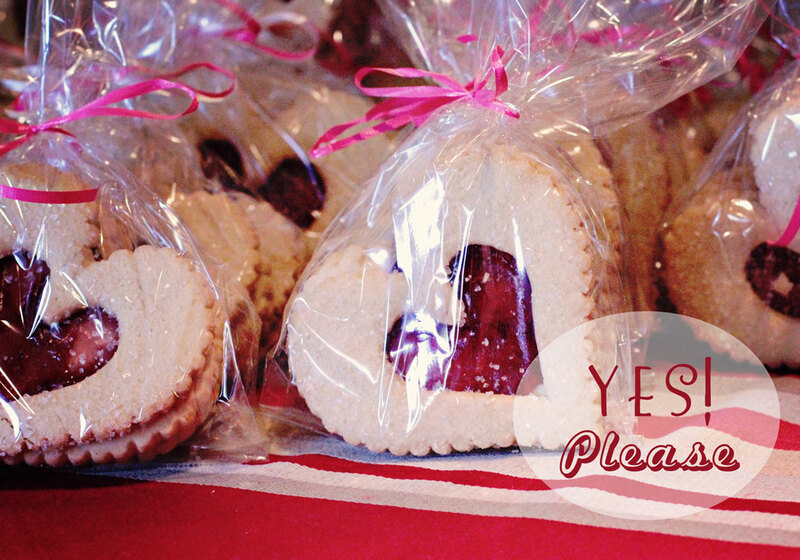 Lovely photo of those yummy cookies and perfect for Valentine’s Day! I love adding text and quotes to photos but I seriously never thought of more than one font at a time – cool idea. Wonderful greeting, Happy Valentines Day to you! Mary, the same to you! I hope it is a lovely one. Great tips and many thanks for directing us to Pea Dawn’s Doodles Too. A very interesting site. Great tips- those look great. Happy Valentine’s friend! These cookies look great! Great tips here too. I like the series you are doing. I tried to email you yesterday, but it came back undeliverable. Something about your server. Heart shaped cookies… what more could you want! Happy Valentines Day to you. the cookies look delecious. Happy VALentine’s Day Laurie! Your sweetness and love overflows from your heart every day! Happy Valentine’s Day to you, too! Those beauties look YUMMY!